Newberry College is accredited by the Southern Association of Colleges and Schools Commission on Colleges (SACSCOC) to award bachelor’s degrees. Contact the Commission on Colleges at 1866 Southern Lane, Decatur, Georgia, 30033-4097 or call 404-679-4500 for questions about the accreditation of Newberry College. The SACSCOC address is provided to enable constituents to: 1) learn about the institution’s accreditation status; 2) file a third-party comment, or 3) file a complaint against the institution or the commission. Council for Accreditation of Educator Preparation (CAEP), which is recognized by the U.S. Department of Education and the Council for Higher Education Accreditation to accredit programs for the preparation of teachers and other professional school personnel. Accreditation compliance reports and letters of notification of accreditation status are on file in the Office of Institutional Effectiveness. Newberry College’s degree-granting authority has been approved by the South Carolina Commission on Higher Education. USDE Regulation 600.9(a)(1) requires that states have a process to review and appropriately act on complaints. CHE Regulation 62-27(C) gives the Commission the authority to intervene on behalf of a person filing a complaint against an institution that is exempt from the oversight of the Commission. To access the official state complaint process and Complaint Form, click here. For further information on the accreditation of Newberry College, please contact the Accreditation Liaison at sid.parrish@newberry.edu.  Newberry College sets specific goals for student achievement. These goals are designed to help students complete their education in a four year time period and be prepared for a lifelong intellectual and personal development, meaningful vocation and engaged citizenship. 9.0199 Communication and Media Studies, Other. 9.0999 Public Relations, Advertising, and Applied Communications, Other. 9.0702 Digital Communication and Media/Multimedia. 13.1202 Elementary Education and Teaching. 13.1203 Junior High/Intermediate/Middle School Education and Teaching. 13.1210 Early Childhood Education and Teaching. 13.1314 Physical Education Teaching and Coaching. 16.0905 Spanish Language and Literature. 19.0708 Childcare and Support Services Management. 23.0101 English Language and Literature, General. 31.0101 Parks, Recreation and Leisure Studies. 43.0103 Criminal Justice/Law Enforcement Administration. 45.0901 International Relations and Affairs. 45.1001 Political Science and Government, General. 50.0501 Drama and Dramatics/Theatre Arts, General. 50.0904 Music Theory and Composition. 52.0201 Business and Administration, General.